An article about my personal observations on Aruba-a great Caribbean island where there are numerous attractions but I was really impressed by the Aloe Vera factory. The Caribbeans have always been a paradise for tourists generously offering relaxing tranquility, endless pleasure, delicious cocktails and beautiful and rich people around... Aruba offers luxury and pleasures in abundance. Take in mind that the island is tiny - it is long only 30 km and at its widest point it is only 9 km, so the rest gives the tourists a true feeling of intimacy and privacy -it is like a piece of land created only for those who deserve it. The local population is involved in tourism and the local people are really glad to satisfy your most bizarre whims. It is not difficult to meet a celebrity here. 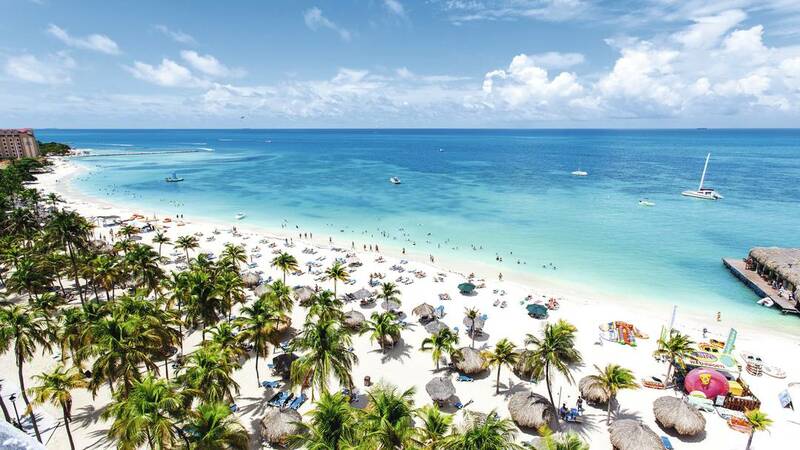 Moguls choose Aruba because the secular life does not cease even for a moment, the crime is reduced to zero, the climate is wonderful throughout the whole year: No change of seasons, summer is eternal, dry and warm with temperatures around 28 degrees. I offer you some unusual experience that should not be missed -to visit the factory engaged with the production of aloe, which stretches over 647 hectares and on its territory people cultivate over two million plants annually. The factory was built in 1840 because aloe vera is the symbol of the island - it has so many beneficial effects that it plays a key role in life, art, architecture, health and beauty. Aruba is the largest exporter of aloe and aloe products in the world and that is why it is called "The Island of Aloe '. Southern sun and dry desert climate increase the healing properties of the plant that revitalizes, nourishes and cares even for the most damaged skin. Walking around the factory we are able to track the whole process, from collecting the petals to creating the final product-the lotion. You will learn interesting facts about the properties of the plant in the local museum, and you can also purchase the best natural products from the beauty shop there-they smell great and will surely make your skin shining with natural beauty.